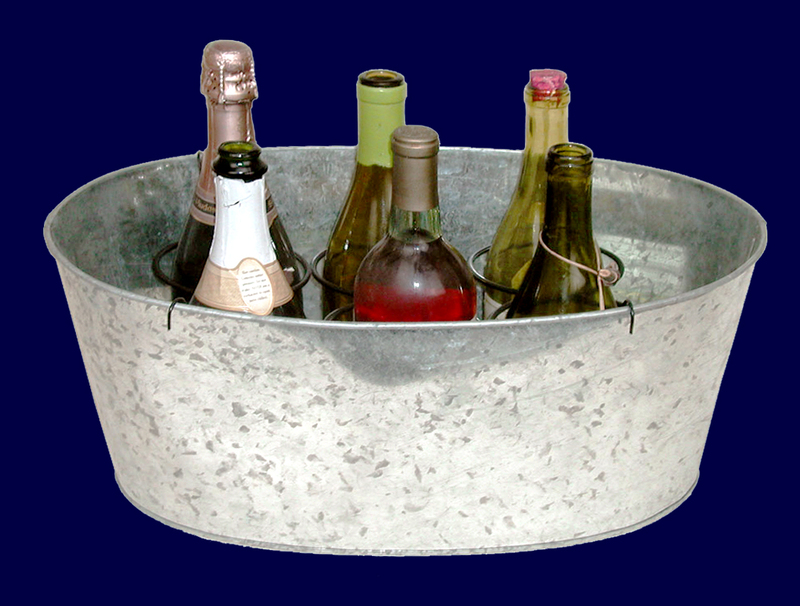 This Galvanized metal container measures 18" long, 12" wide, 8" high. A metal drop down holder is included to hold six champagne bottles. It is water proof, making it a great party attraction. This design also comes in with a four bottle holder. Please click on item C2132 to view it.